Nowadays, content marketing has become the forefront for all businesses. No wonder that many businesses and SEO services are always looking for ways to create effective content that can stand out from others and bring you closer to your goals. However, in many times your content marketing seems like it doesn’t produce you a satisfying result. So, what should you do if you happen to come across low quality content on your site? Is it better to delete it or improve upon it? Well, according to Google’s John Mueller, in general, when it comes to low quality content, that’s something where we see your website is providing something but it’s not really that fantastic. Therefore, it will be better to improve it since it will save your time instead of creating a totally brand new content. 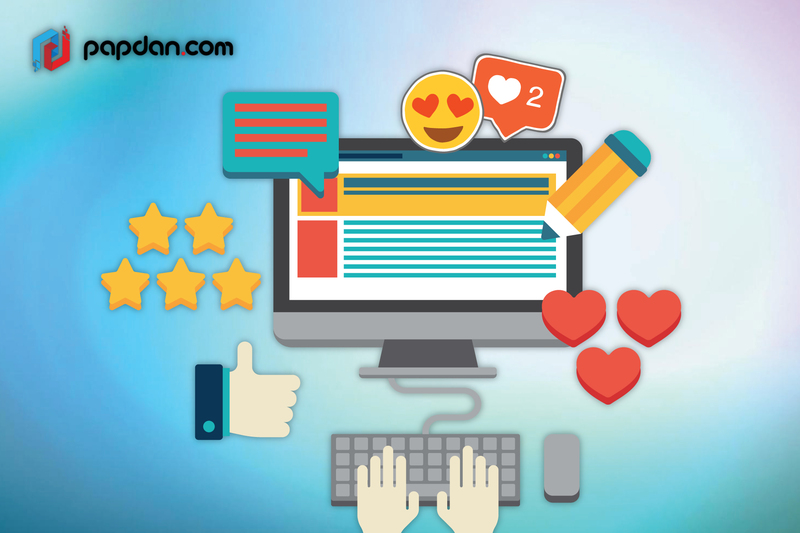 In the information below, we provide you with 8 ways that can enhance your content creation which hopefully can increase your traffic and satisfy your readers. Here are the first eight of those tips. Creating a structured writing process not only can help you save time, but it also makes you become more productive. Besides, people nowadays are thirsty with information, so the need for content creation is terribly high. Therefore, you have to know the best process that can help you focus on content creation. For example, putting aside all distractions, you can manage a set block of time on your calendar for content writing. Furthermore, you may need to take a break or get someone else read it for a fresh perspective. Working with other team members will help you a lot in collecting a new content idea. Therefore, make sure that you set aside time for this brainstorming moments with other team members. Furthermore, you may realize that sometimes an idea seems to pop up in your mind every time, if this often happens to you, we recommend you keeping a notebook which you can use to jot down any ideas that comes to your mind. Whatever ideas that comes to your mind may offer you a new perspective on your content goals, so just write them down. We know that the competition to draw user’s attention in the digital world is quite challenging. The last study says that the attention span is limited to no more than 8 seconds, not to mention a huge number of content available online, so the best solution is to think about a formula that can make your site stands out from the rest. The important point is to keep your users reading, or watching, or listening to your content. Mixing up your content marketing formats is a great way to convince users to pay more attention to your content marketing. You can see several content types below, in which each of them serves a different purpose. Images are still the most popular type of a visual content, since nothing can offer a better impact on a message and they certainly create a memorable experience. Besides, it is easier for human to process an image, as 65% of people are visual learners, so you will increase a greater possibility for your content to be remembered when you put relevant images in it. Infographics are graphic visual representations of information; the data and information are provided in such a way to present information quickly and clearly. This method can also make complex information look more appealing and shareable. In fact, a research shows that readers tend to spend more time processing an infographic, compared with a written text, and that’s what makes them engaging. Besides, infographics are more shareable than other types of content and usually get liked three times more than any other visual content. Over the last two years, video content is also considered as one of the most popular visual types of contents, a trend which has been boosted by social media. According to Cisco, videos will make up 80% of all internet traffic; this shows how video is getting more important. A video is a powerful tool, especially if you want to explain about, share tips and “how-to” ideas, build trust, increase management, and add value. GIFs is a not a new type of content, in fact, it has been developed more than 30 years ago. However, many still believe that it is a quick way to share a visual content that straddles the line between an image and a video. In fact, GIFs offer benefits that you might never obtain if you are using an image or a video, since GIF is more powerful than an image, yet they are also smaller in size than a video. Besides, GIF is a perfect choice if you want to show your casual side as it is usually funny and informal. In the era of ‘bite-sized’ content, many content marketers think that it seems more logical to serve readers with shorter content, but is that always true? The answer reveals that the length of your content won’t guarantee the success of your content. In other words, readers still value long-form content as long as it is interesting. Besides, the length of your content also defines the depth of the topic you’re covering. In fact, long content is great for increasing awareness, building trust and offering value. Having a clear and organized content will surely be appreciated by your readers. Therefore, you don’t have to create a big chunk of sentences, but make sure that your content can be optimized for all devices. Therefore, we recommend that you test your content on all devices before you publish it. Bullet point is also another way that can allow readers to get back to the things they need to remember from what they’ve just read. However, you have to be careful, since too many bullet points can result in the opposite result. Formatting is slightly different than structuring, it has more something to do with the way you present your actual content rather than the way you organize the sentences. These two are important in their own way, with the ultimate goal being to convince readers to spend more time on your content. If you want to do the formatting, you have to pay attention to the headings. It allows you to divide your content into logical sections and don’t be afraid to use plenty of them. You can also use a range of different header sizes to label certain sections of your content with subheadings. In fact, headings can make your content structure easier to parse and therefore helping to highlight important bits. Furthermore, by this way, you are also going to help your content rank well in search. It is useful to set a goal before diving into content writing. By having a clear goal, one can focus on producing content. Once your post is published and you’re tracking metrics, you can return to the initial goal and see whether you’ve come close to achieving it or not. Bear in mind that you should not turn your content into an automatic machine of business jargon while setting a goal for your content. The points above are given to enhance your content marketing performance, if you have had some contents before, you can always fix your content according to the 8 tips above. Hopefully, by applying the tips above, you can see the difference immediately. This entry was posted in Article and tagged agency, article, business, content, marketing, online business, search engine optimization, SEO, website on November 9, 2017 by Mario.